From the evidence provided by the Bujang Valley archaeological finds, Kedah was once a prosperous centre of trade. 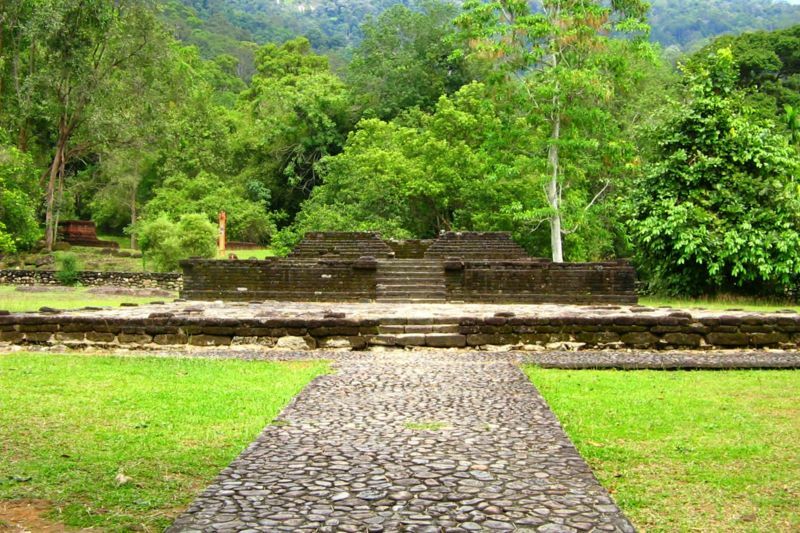 As far back as the 5th century AD, traders who plied the East-West trade route stopped at Kuala Muda, Using Gunung Jerai (Jerai Mount) as navigational point. 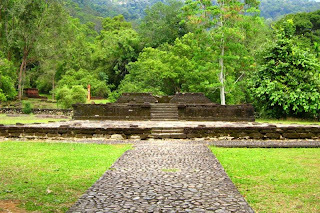 Early Hindu-Buddhist civilisation also left their marks in the form of ancient candi (temples) around Lembah Bujang (Bujang Valley). Later in 7th and 8yh century AD Kedah became a vassal of the Sumatran Kingdom of Sri vijaya and later, Siam. 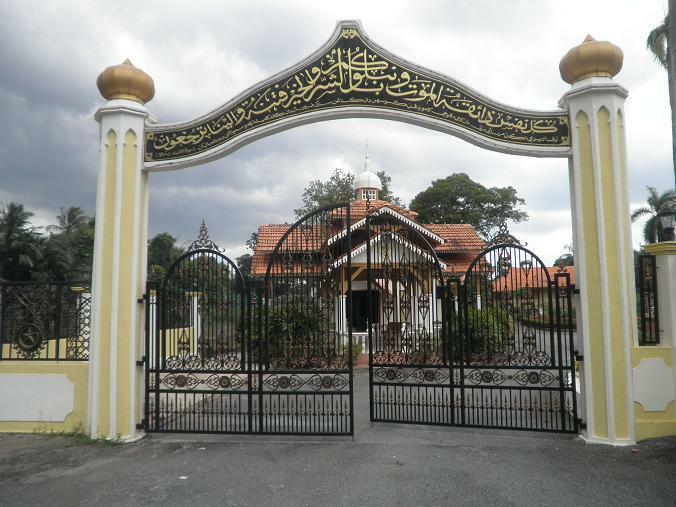 In the 14th century, The Melakan Sultanate brought Islam to Kedah. The 17th century saw Kedah faced with ravage attacks from Portuguese and Achinese. The fear of the Siamese threat resulted in Pulau Pinang ( which was belonged to Kedah) being ceded to the British in 1786. However, Kedah still fell to the Thais in 1821. In 1909, The Thais transferred the suzerainty over Kedah to the British. After the Japanese Occupation, Kedah joined the Malayan Union and subsequently the Federation of Malaya in 1957. Kedah is located in the northwest corner of the Peninsular Malaysia, bordered by Perlis in the north, by the Straits of Malacca on the west, and by Penang and Perak in the south. Kedah covers an area of 9,425 sq. km, and its highest peak is Gunung Jerai, standing at 1200 meters. The climate of Kedah is tropical monsoon, with a uniform temperature between 21°C to 32°C throughout the year. It is generally dry and warm from January to April, and wet from May to December. Humidity is consistently high in the lowlands, averaging 82-86 percent per annum. Kedah's average annual rainfall falls between 2,032 mm to 2540 mm. 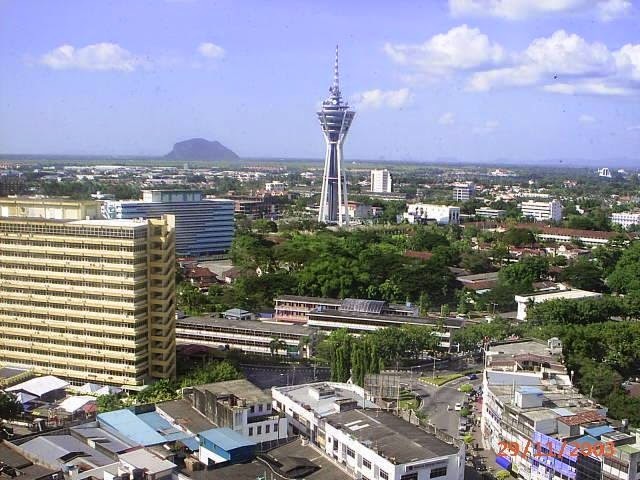 The capital is Alor Setar, a bustling city progressing gradually into the future. All in all, the state of Kedah has eleven main districts called Kota Setar, Baling, Kubang Pasu, Kuala Muda, Bandar Bharu, Kulim, Langkawi, Padang Terap, Sik, Yan and Pendang. Kedah also known as the “Nation’s Rice Bowl’. Kedah is made up predominantly of malays with a considerable number of Chinese, indians and Thais. 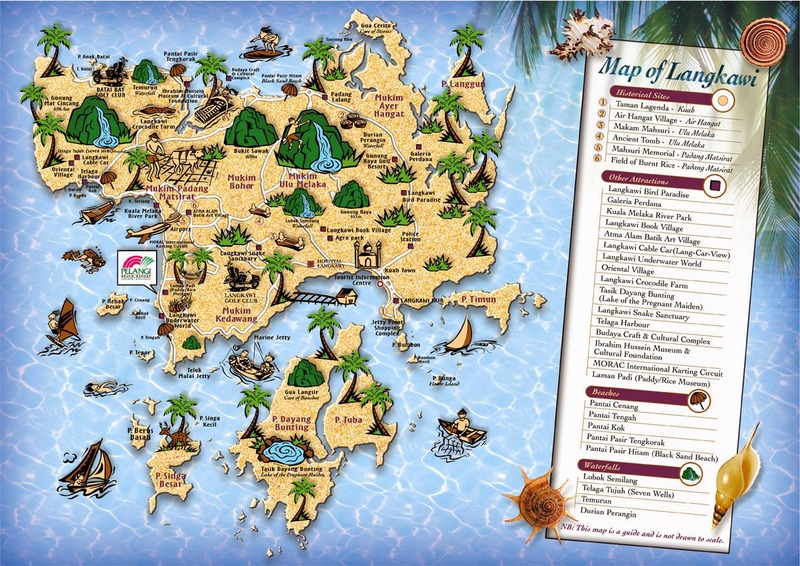 Kedah is famous for her islands, the legendar Langkawi which is a group of 104 islands. 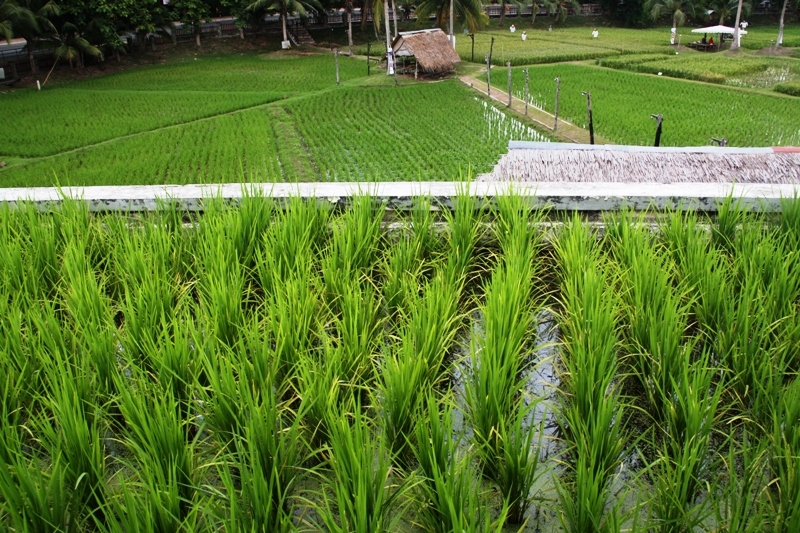 The lowland area which has become the main paddy growing are in Malaysia. Kehijauan dan kekuningan padi yang meluas terbentang akan menenangkan hati mereka yang melihatnya. Depending on the season, one can either witness a mesmerizing “glare” of golden yellow dancing to the dictate of the breeze (during planting season). Kedah also venturing into heavy industry and tourism. Her islands,legends, historical, relics, hill stations and scenic water falls, offer the visitors a variety of sights, sounds and funfilled activities such as sunbathing, diving, water skiing, picnicking or merely sight-seeing. Kedah is rich in cultural traditions, handed down over the generations, one of the traditions being the friendliness of its people. Today, the state thrives on agriculture as its source of income. Kedah produces the most rice among the other states but the Government is attempting to diversify its economy, namely in industrial development. Hence, Kedah is fast developing its manufacturing industry, with numerous industrial parks being built to sustain this growth. A sizable portion of the state's economy is contributed by tourism, most particularly through Langkawi island. Alor setar (Capital state) has road, rail and air links to all major towns in peninsular Malaysia. Alor Setar can be regarded as a suitable starting point for travellers to proceed their journey to Pulau Pinang, Kuala Lumpur and Thailand. Kedah is well-linked by road from Kuala Lumpur, Georgetown (capital state of Penang), Kangar (capital state of Perlis), Kota Bharu (capital state of Kelantan), Haadyai (Thailand) and Singapore. The main entry points into Kedah from Thailand are Padang Besar and Bukit Kayu Hitam in the north in Alor Setar. 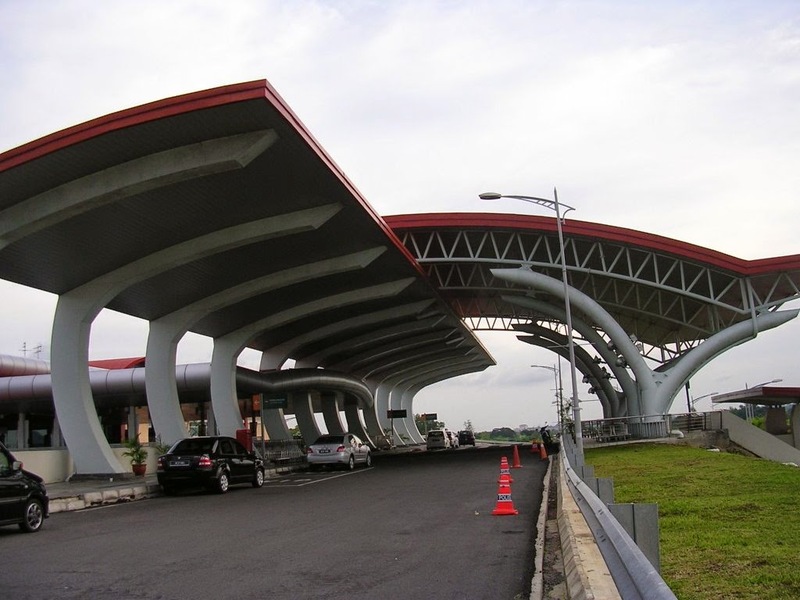 There are two bus terminals located at Jalan Langgar and Jalan Stadium. Malaysia Airlines operates regular services for Kuala Lumpur and Kota Bahru (Kelantan) to Sultan Abdul Halim Airport at Kepala Batas (Kedah), 10 km from Alor Setar. There are daily express services from Kuala Lumpur to Alor Setar and Bangkok (Thailand). 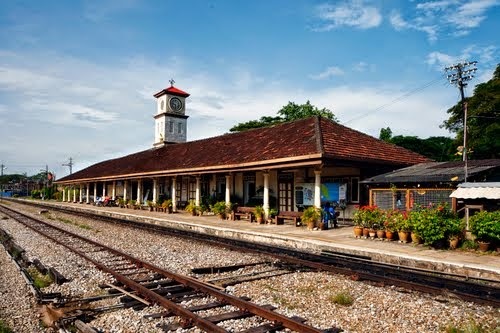 Train Leaves Kuala Lumpur at a regular time in the night and it takes approximately eight hours to reach Alor Setar. Taxis are available in all towns throughout the state. Malay, Chinese and Indians foods are easily available at restaurants and stalls scattered all over the state dengan harga yangs angat murah. 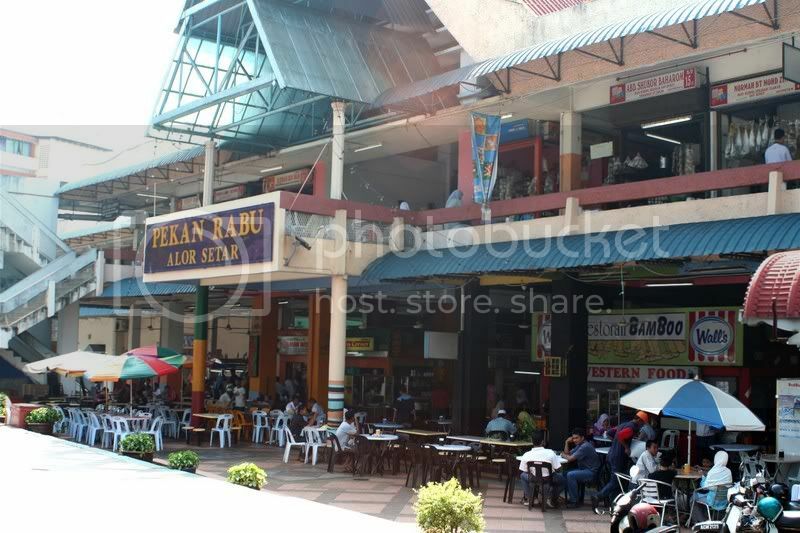 The popular eating spots in Alor Setar are the stalls near the Stadium Darulaman, the Pekan Rabu Market and numerous other places. It has a reputation traditional Kedah food, including the ‘dodol durian’, a sweetcake made from the durian. Kuala Kedah on the mouth of the Kedah river, about 10 km from Alor Setar, for fresh seafood. Kedah has a variety of cultural traditions, songs and dances. Some of these cultural traditions are Thai in origin and influence some of the popular ones are ‘Cinta Sayang dance’, ‘Festival of Cradle’, ‘lagu-lagu Berendoi’ dan ‘wayang kulit’. 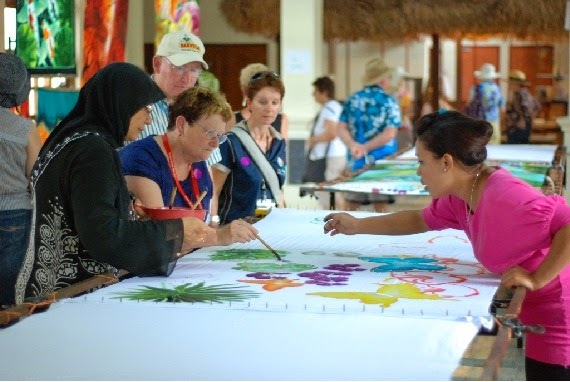 The events are usually performed during the Langkawi festivals. Shopping carnival, and Sultan (King) of Kedah’s birthday. Kedah also has modern forms of entertainment and nightlife at hotels, restaurants, discotheques and lounges. Shopping can be colourful especially at the ‘pasar malam’ (night market). 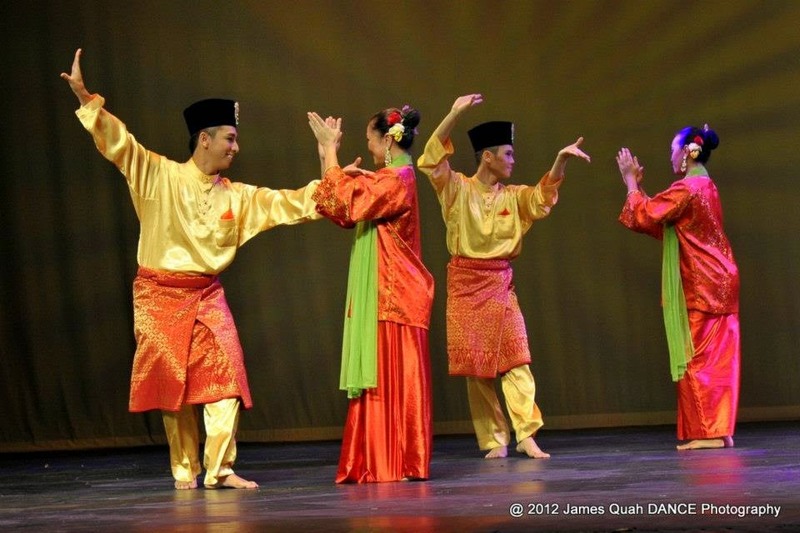 Kedah has its share of rich cultural traditions, songs and dances. Due to its close proximity to Thailand, some of these cultural traditions are inevitably. Thai in origin and influence. Others however are local in origin being more closey lionked to everday lives of the common people. This lovely dance originated among the fisher folk. It was usually permormed to bod good luck to their comrade and loved ones when they go aout to sea and also to pray for their safe return, the dances is performed in pairs to a catchy and lilting tune. 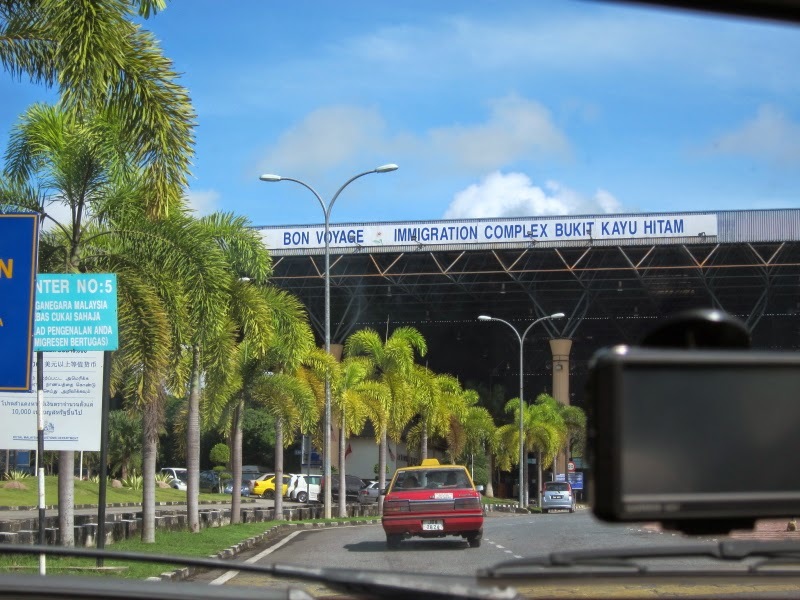 (a) Bukit Kayu Hitam, the border town in the north (Kedah-Thailand) where you can pick up duty free goods. Among the duty free goods available here are cameras, watches, electric goods, perfumes, cosmetics, pens, lighters etc. 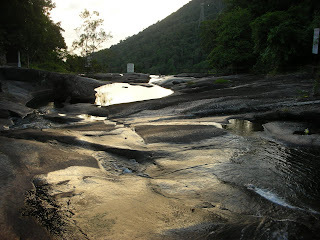 Between Gunung Jerai (Jerai Mount) in the north and Sungai Muda (Muda River) in the south. Those interested in history and archaeology should not miss this attraction. Based on archaeological findings , this valley is believed to be an important trade centre in the region between the 5th and 8th centuries. They are mainly remains of temples and statues of Indian gods and goddesses, similar to those discovered at historical sites in India . 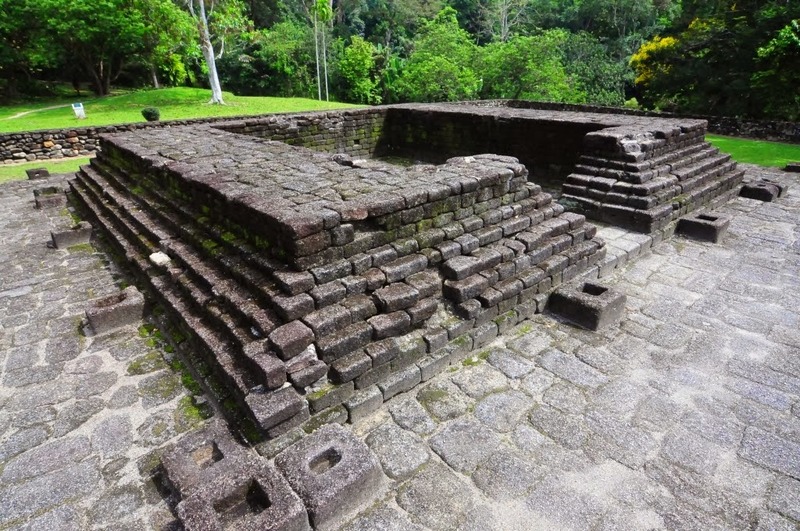 So far, more than 40 temple sites have been discovered and a number of temple bases have been restored at museum in Pengkalan Bujang to their original form. 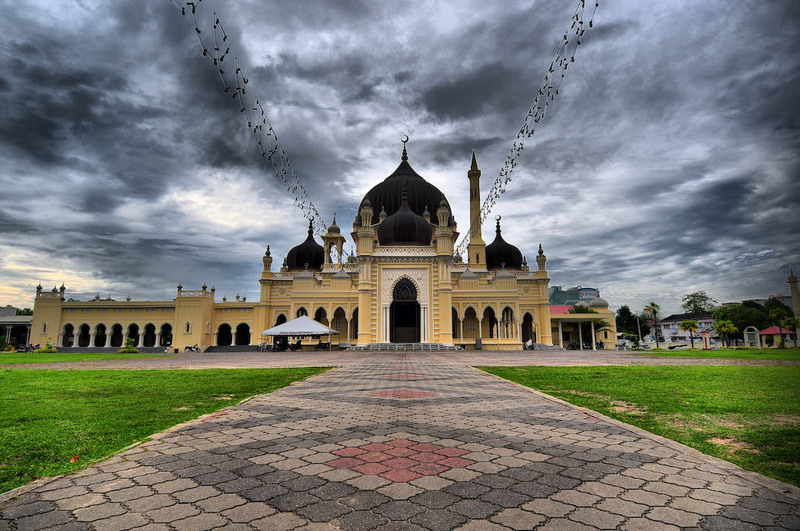 Situated in the heart of Alor Setar (capital state), is a showpiece built by Sultan (King) Mohammed Jiwa in 1898. Its architecture is very much Thai. It is a venue for royal ceremonies and satte meetings. It is a cylindrical building which houses sacred instruments of the royal orchestra. This Nobat were presented to the Sultan of Kedah by Sultan Mahmus Shah of Malacca (the last sultan of Malacca before Portuguese conquered Malacca in 1511). This Nobat include three drums, a gong and a flute which are now played only during royal ceremony. Located within Sultan Abdul Halim highway and Pekan Melayu road in the town centre. It is Alor Setar’s state mosque. Opened in 1912, it is an architectural landmark. The state of Kedah holds its Quran reading competitions at this mosque annually. Located within the Sultan Abdul Halim highway and Pekan Melayu road in Alor Setar. Its located in the vicnity of Masjid Zahir (Zahir Mosque). 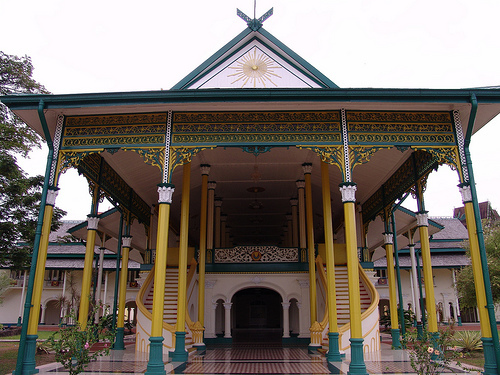 It was built in 1936 and houses items representing Kedah’s royal and cultural heritage. Its exhibits include a fine collection of paints, antiques and historical relics. Admission is free and its is open everyday. At Lebuhraya Darulaman (Darulaman highway), a five storey building with 11 galleries and an exhibition hall, displays historical artifacts and manuscripts depicting the history of Kedah. At Langgar, about 9 km north of Alor Setar. 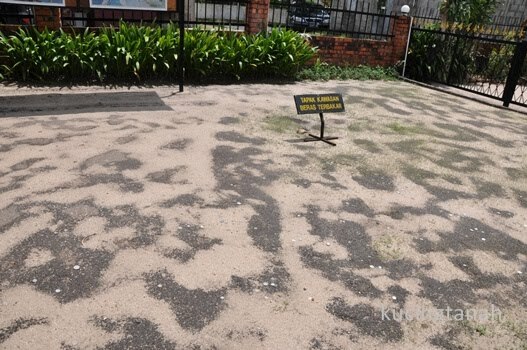 It is believed to be the burial ground of many of Kedah’s warriors and is now the royal burial ground. Is a ‘museum’ in itself. Situated near the banks of Sungai Anak Bukit (Anak Bukit River) facing Stadium Darulaman, the boat house contains several boats that were used by former rulers of Kedah to visit their subject. The boats are being kept in very goosd condition and one can find descriptions as to their origin and usage. The current Prime Minister of Malaysia. 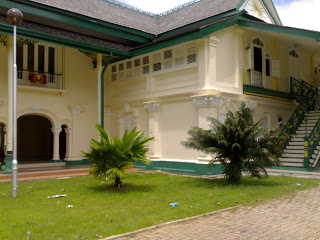 In 1992, The National Archives restored and gazetted the house as a historical building. Memorabilia related to the life and times of Dr. Mahathir Mohamad are displayed in the interior and around the exterior of the house. A tour of the house offers an insight into the Prime Minister’s youth-from his school days to his success as a doctor. Photographs, furniture, household items and even his favourite bicycle make for an interesting visit. Admission is free and it is open everyday except Monday, from 9 am to 6 pm. Originally got its name because it use to be held on Wednesday. Now, this open bazaar, similar to the flea market concept, is available everyday from morning to midnight. Located at Jalan Tunku Ibrahim (Tunku Ibrahim Road). One finds a collections of small stalls which sell a variety of stuff – from local farm produce to handicrafts. It is the best place to sample traditional Kedah fare like the ‘Dodol Durian’ ( a sweetcake made from durian fruit). Its fine example of local architecture hinting strongly of Thai influence in its majestic design. 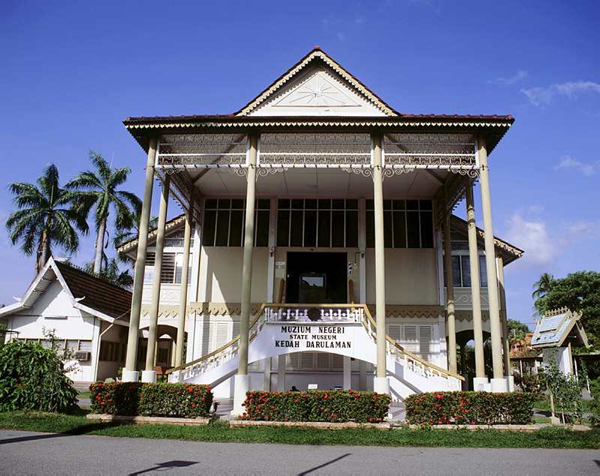 Built in 1936, it houses a veritable collection of Kedah’s Royal and cultural heritage. Admission is free and open daily. Its open from 9am to 6 pm (Friday) and 10am to 6 pm (other days). Mount Jerai, the highest mountain in Kedah and peninsular Malaysia, which rises to height of 1206 m above sea level. 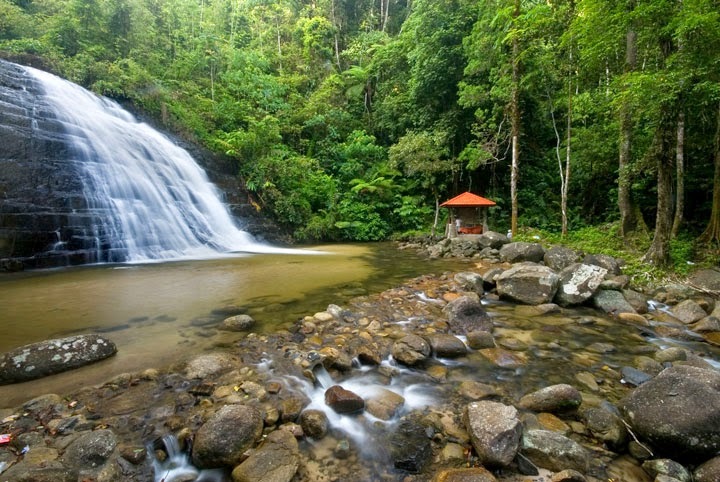 You will get a panoramic view of the surrounding natural environment of forests, flower and waterfalls. On clear days, different vantage – points on the mountain offer spectacular views of the rolling rice fields strecthing up to Perlis in the north. Historical facts reveal that this was the area where the ancient kingdom of Sri Vijaya built its empire. 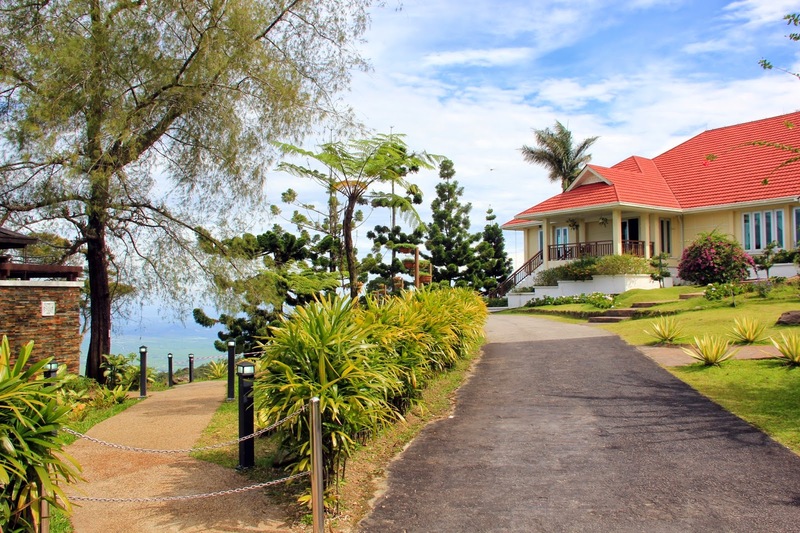 Mount Jerai has well development tourist facilities such as chalets, recreational facilities and jungle trails for nature lovers. Its an orchard which becomes a haven for fruits lover during the fruits season, especially those who cannot resist the ‘durian’. Another interesting feature of Bukit Pinang is the fact that ‘tuntong’. A breed of river turtle, is found here. Folklore has it that eggs laid by these turtles were conducive to curing several disease, hence in those days only the Royalty had acces to these eggs. In the district of Yan, 32 km south of Alor Setar ia a favourite weekend retreat. Picnickers revel in the cool depths of rocky pools amidst the thundering roar of the waterfall. Other places where waterfalls are found is here. Located about 25 km north-east of Alor Setar, in the district of Padang Terap. This is also a fovourite spot for those who wish to retreat to the great outdoor. Lush with flora and fauna. Lacated in Baling, 120 km south-east of Alor Setar. Offers yet another park featuring a waterfall amidst lush greenery. Picnicking at its seven-tier crystal clear waterfall is a major attraction here. Surrounded by the hills and mountains of Sik, 72 km south-east of Alor Setar offer the adventurous spirit a blissful retreat from the everyday world. This area is ideal for hiking and camping amidst surroundings. back 500 milion odd years, the islands contain unique rock information that stir the imagination and baffle the mind. Numerous caves, with their stunning stalacties and stalagmites, taunt the adventurous to unravel their ancient secrets. Fine beaches offer sun-filled days of complete relaxation. The clear emerald waters around the islands provide numerous oppurtunities for a host of water sports and recreational activities. 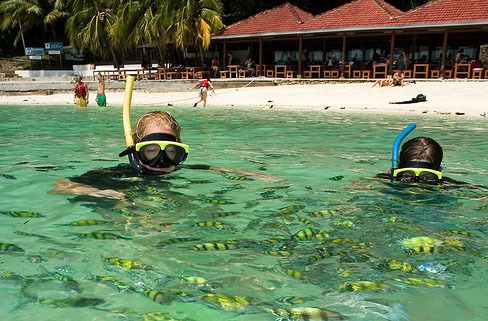 The enchanting marine life beneath the waters of Langkawi’s islands also beckon diving enthusiasts. Its pure white beaches are believed to have originated from the see-page of white blood that flowed from the body of a beautiful princess named Mahsuri. Mahsuri was sentenced to death for having, allegedly, committed adultery but none of the soldiers could kill her with their weapons until she was stabbed with her own ‘knife’. The blood that flowed, which was supposedly white-depicting her innocence, seeped into the ground. Upon dying she threw a curse on the island that it would not proper for seven generations. On the spot where she died, a tomb called Makam Mahsuri was erected where people come from all walks of life to live the legend. In Padang Mat Sirat is the legend of burnt rice. Here purportedly the villagers burnt their padi when they were invaded rather than leave their rice fields on the invaders. Today, traces of burnt rice still surface after a heavy downpour. This place about 14 km from north-west of Kuah town in Langkawi . Air Hangat Village is a new tourism concept that sees the redevelopment of the former tourist spot known as Telaga Air Hangat (Hot Springs). The entertainment complex covers some four acres. Attractions include a 3-tier hot-spring fountain, 18 meters hand-carved riverstone mural depicting the legends of Air Hangat, day-long outdoor entertainment programme featuring Malaysian/ ASEAN cultural dances and traditional sports and games, live displays of Malaysian/ ASEAN customs, traditional crafts, and participation in village activities such as padi planting. Food and beverage facilities include a café, a lounge and a theatre restaurant. Duty free shopping is available at the pavilions. Entrance fee: RM4.00 (adult), RM2.00 (child). Nestled amidst lush forested hills on an island south of Pulau Langkawi is Tasik Dayang Bunting, the largest lake in Langkawi. It is a freshwater lake. The outline of hills and rocky outcrops on one side of the lake resembles the shape of a pregnant maiden lying on her back. However, the name of both the islan and the lake is attributed to the legend of a lovely fairy princess who married an earthly prince. Her first child died shortly after birth. She was so sad and depressed that she buried the child in the crystal clear waters of the lake. Before she returned to her celectial abode, she blessed the waters so that any childless maiden who bathed in the lake would conceive thereafter. Thereafter this place has been frequented by many a childless couple. Located in north-western corner of Pulau Langkawi, Seven Wells is a geological marvel. The lush green forest that surrounds the waterfall adds a mystical touch to the natural splendour. It’s a spot where a freshwater stream cascades 91 metres down through a series of seven natural pools. 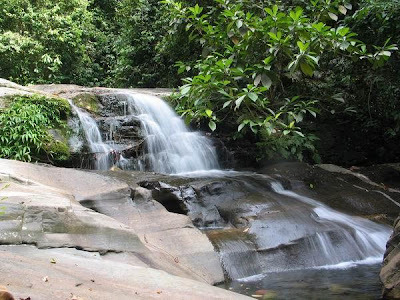 Picnickers can swim in the bottom most pool of the waterfall that is easily accessible by concrete steps a short distance from the tarmac road. ii. Species Pond. You would be able to see crocodiles and alligator species from all over the world. iii. Breeding Pond. Crocodiles mate and nest here. iv. Show Pond. Watch man and crocodile ‘wrestle’ with each other. v. Bridge-Over-Pond. Enables you to get a closer look at crocodiles. 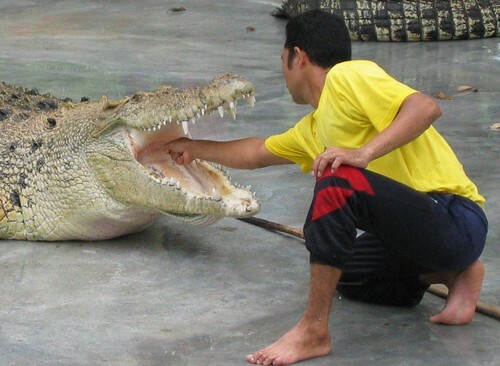 At the exhibition center you would also be able to watch an audio-visual presentation on the life-cycle of crocodiles. There are also specimens and photographs of crocodile eggs, crocodile skeletons, etc. on display. The farm is equipped with a fast food shop, toilets and a car park. 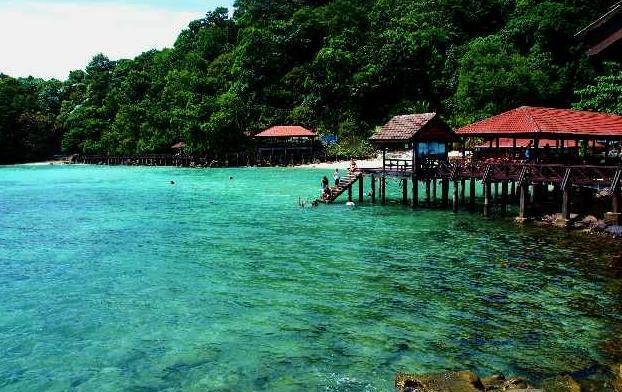 Its located 14 km from Kuah Town. The village provides an insight into the cultural activities of the people. You would be able to see handicrafts being done and pick a souvenier to take home. A side-trip from Padang Mat Sirat can be to the Langkawi Book Village the 12th of its kind in the world. The village situated in a beatifully landscaped in Lubuk Semilang, 8 km from the airport. 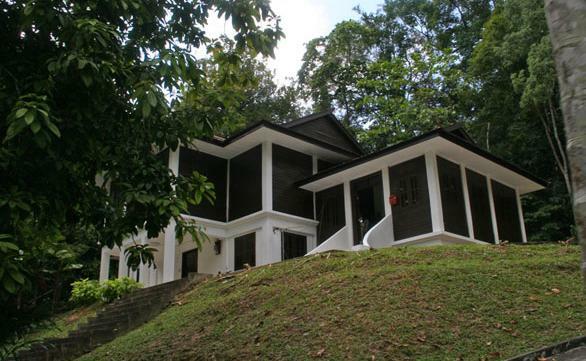 It is located just 10 minutes from the Langkawi International Airport and 15 minutes from the Ferry Terminal. Situated amidst a lush green forest at the foot of Raya Mount, the highest peak on the island, the book village provides book lovers a tranquil setting to undulge in their hobby. It’s the first and only book village in Sout-east Asia. It is part of the International Book Villages and Book Towns Movement. A collection more than 50,000 books here would surely keeps its visitors fully occupied. The various houses in the village are stocked with a great variety of new books on numerous topics and languages as well as second-hand, rare and antiquarian books. You'd find second hand books ranging from subjects like Malaysia, Arabic Literature, sports, travel, gender studies to books on Europe, European studies and Asian Languages. There is also a sizeable collection of magazines. The rare books available include The Ancient Khmer Empire by Lawrence Palmer Briggs, The Real Malay by Sir F.A. Swettenham, Malay-English dictionary (Romanised) by R.J.Wilkinson, Malay Sketches by Frank Athelstane Swettenham, The Tiger of Trengganu by Lt-Col A. Locke, On jungle Trails by Frank Buck, Sacrilege in Malaya by Pierre Boulle, and A Dictionary of Malayan Medicine by John D. Gimlette. 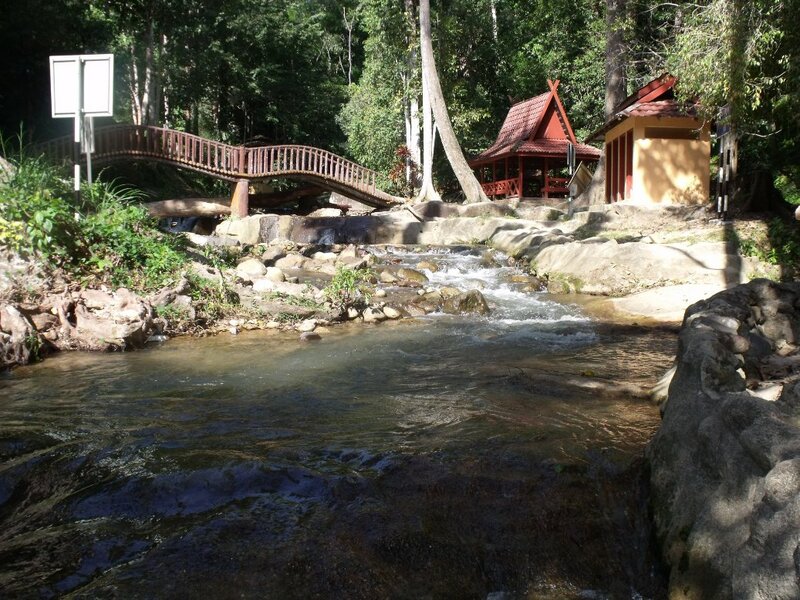 From the foot of Langkawi Book Village, you'd be able to access the Lubuk Semilang recreational park for a dip in the cool stream or simply laze around in the gazebos or on one of the broad benches. Langkawi is full of mysterious folk tales, and at Langkawi Lagenda Park you can learn them all. The park is a very beautiful and well-maintained historical place with scenic gardens of vivid local flowers, plants and fruit trees. Langkawi Lagenda Park consist of 17 story-telling monuments, 4 artifical lakes and a man-made beach which provide a picturesque and fitting backdrop for buildings showcasing Langkawi's rich cultural heritage. Langkawi Lagenda Park was officially opened to public on the 27th April 1996. The park, which covers an area of 50 acres is built on reclaimed land and costs approximately RM 37 million. 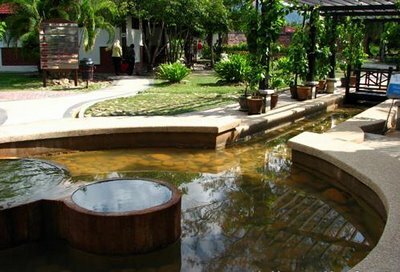 Within the park, you can also find some fine examples of traditional Malaysian handicraft and cultural objects. It is located near the Kuah jetty. If you have limited time to cover all Langkawi's historic sites, Langkawi Lagenda Park is the best place for you to visit as you'll find all the famous legends and myths on display. If walking is too tiring for you, you can just hire a buggy. This park is also an excellent picnic spot, so don't forget to bring along a picnic basket. This beautiful park is an open-air garden museum that highlights the many myths and legends of Langkawi including the legends of heroic giants, mythical birds, evil ogres and beautiful princesses. Of the many myths and legends surrounding this place, the duel between Mat Raya and Mat Cincang is one of the most interesting. It is said that their duel caused the formation of several new places on the island such as Gunung Raya, Gunung Mat Cincang, Kuah (said to have been formed when their struggle overturned a bowl of gravy, which in Bahasa Melayu is "kuah"), Ayer Hangat, Tanjung Cincin, and Belanga Pecah. 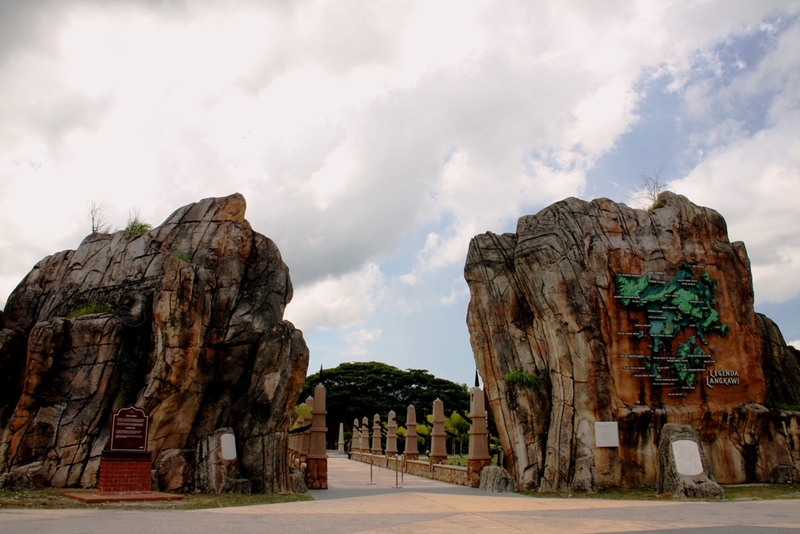 Besides the better known legends mentioned above, the park also displays lesser-known tales like the legends of Pulau Hantu (Ghost Hill), the Mermaid's Golden Ball and Pandak Mayah's spear. A visit to Langkawi will not be complete without a visit to Langkawi Lagenda Park - a very pleasant, well-maintained park that worth walking around. In front of the entrance of Langkawi Lagenda Park is Gondwana Wall, a symbolic of the shroud over the mountains behind Burau Bay, which engulfs Datai Bay up to Tanjung Buta. 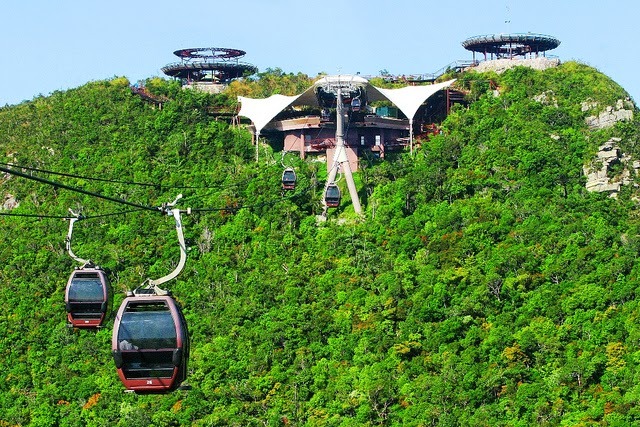 It is Langkawi’s most prominent landmark for visitors arriving by sea. Situated near the Kuah Jetty, the main attraction of the square is the magnificient statue of the reddish brown eagle majestically poised for flight. 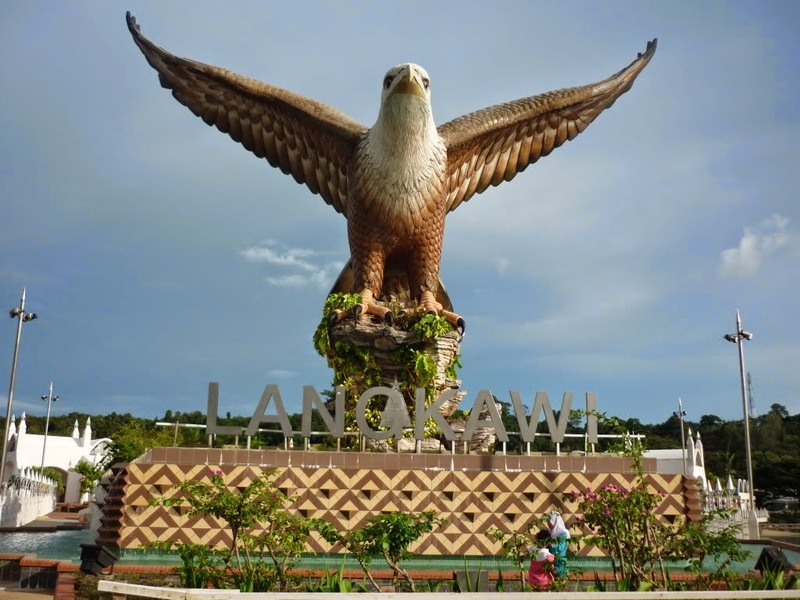 According to local folklore, Langkawi derived its name from the eagle or ‘Helang’. In old Malay, ‘kawi’ denotes reddish brown-hence, Langkawi means reddish brown eagle. The square is beautifully landscaped and features scenic ponds, bridges, covered terraces, restaurants and barrel vaults made of bricks. Its close proximity to the sea and the soft breezes make it an ideal spot for leisurely walks and a tranquil setting for dining in the cool evenings. The square is beautifully illiminated at night and presents a dramatic scene as you approach the island by sea. 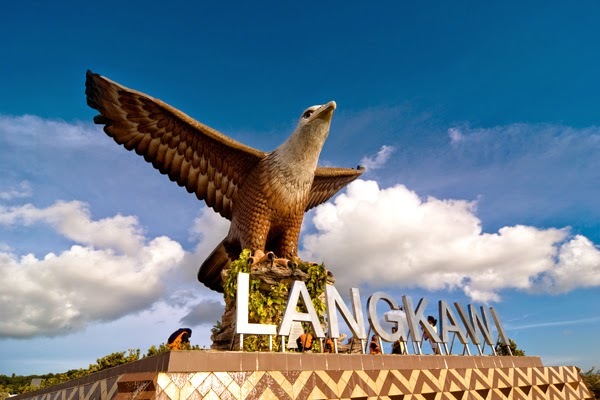 Indeed, the majestic eagle is strategically positioned to welcome visitors to Langkawi. Like to try out your skills or swing the night way? Dallas Karaoke, Jalan Penarak Kuah, Karaoke 99, Jalan Padang Mat Sirat, Top Ten Karaoke 99, Jalan Padang Mat Sirat offer a cosy places where you can belt out your favourite number. Discotheque at D-Five, Delima Resort, Lagenda Disco, Langkawi Island Resort, Sunset Disco. 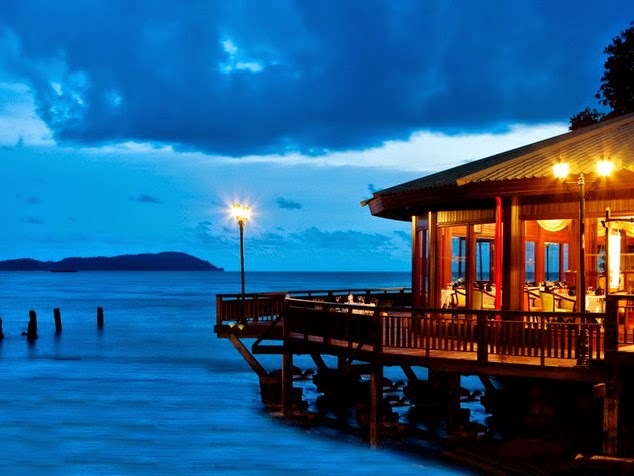 Langkawi Holiday Villa Resort are many of the discos you may like to head for after dusk. -Island Cruises Going on island cruises is a great way to relax and take in the breath-taking scenery of Langkawi as your boat weaves through the water passageways between the islands. A round trip, which takes about four hours, includes Pulau Dayang Bunting, Pulau Beras Basah and Pulau Singa Besar and costs between RM220 to RM360 per boat (seats 8-12 persons). Boats can be taken from Marble Beach and Pantai Cenang. Special itineraries with a barbecue meal, snorkelling or trips to other islands can also be arranged. 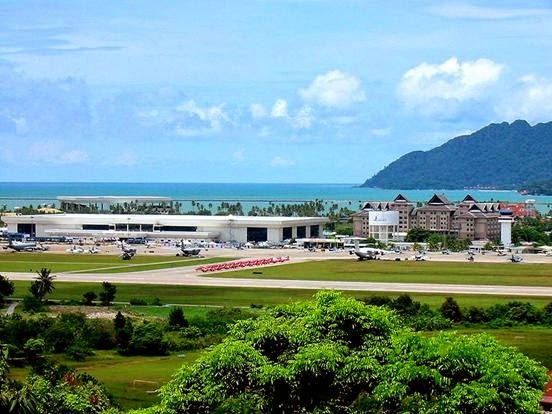 Pulau Langkawi has acquired duty-free status and is thus popular with visitors. Take a walk along the main street in Kuah Town and you will see many duty free shops such as Langkawi Mall, Langkawi Fair Shopping Complex, Jetty point Duty Free, Saga Shopping Centre, Langkawi Duty Free (M)Sdn. Bhd., Zone shopping Paradise, Kamdar Shopping Centre and Idaman Suri. Batik products are available at Atma Alam Batik Art Village in Padang Amt Sirat. Electrical goods are available at duty-free shops in Kuah and some other hotels. Perfume, spritis and casual wear are best buy. 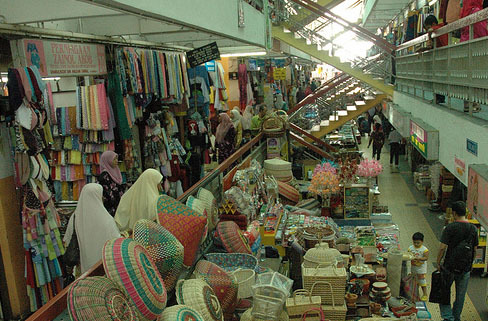 Locally made handicrafts as well as the famous Langkawi marble items make good souvenirs to take home. Recreations such cycling, jungle trekking offered either by hotels organised group or commercial operators along the beaches. Pantai Cenang is ideal for swimming, sun bathing, sailing and windsurfing. Most hotels/ motels can arrange such facilities as well as trips to nearby islands snorkeling and scuba diving. Geeting around in Langkawi is easy and convenient. Whether you are travelling from the airport to Kuah, the biggest town on Langkawi or moving about in town itself, you should have no problem catching a cab or hoping on a bus. Besides, there are local and international car hire companies that provide self drive service. The bus and taxi terminal are located near Kuah Jetty and you can either take a 5-minute taxi drive or a 20-minute walk to get to town. Visitors who have stayed in Pulau Langkawi for a minimum of 72 hours are entitled to purchase duty free items. Visitors need to produce their pasport or other travel document. Among the duty free goods offered are cameras, liquor, cosmetics, footwear and sports goods. Pulau Singa Besar (Singa Besar Island) is one the 104 Langkawi Islands.Located south of the main island of Langkawi, it is about 16 km from Kuah. By Boat it takes 35-45 minutes. 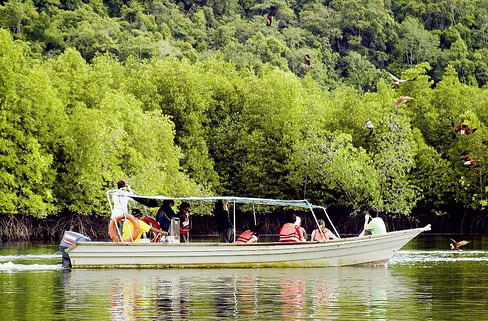 Pulau Singa comprises 640 hectare of tropical forest, mangrove swamp, sandy and rock coasline. In view of its interesting geology, fauna and flora, the island was designated a permanent bird and animal sanctuary. For the visitors there is a forest park, and a bird and animal sanctuary. A day-trip is ideal whether it is basking on a sandy beach, fishing, swimming, jungle trekking, bird watching, photography or even research. There are no hotels. Facilities are minimal on the island. *Depending upon the length of stay, visitors to the island can enjoy the sheer beauty of nature i.e. the clean fresh air, the beautiful beach and sea, the tropical forest with its varied fauna and flora. *If you have limited time, it suggested you go to the information centre and lookout points, and take a walk on the paved paths to the parrot ring, flamingo pond, deer park and hanging bridge. *There are two jungle tracks, one takes 3-4 hours and other 8 hours. Both are tough but enjoyed. *An alternative to jungle trekking is to go around the island in an boat and stop at the Fisheries Centre which is located on a beautiful beach on the north-eastern side. *For birdwatchers, the tree house after the hanging bridge is ideal especially carly in the morning and late in the evening. Look out for a fruit or berry bearing tree and wait some distance from it. Many types of birds will come to feed. *For snorkelers, the waters on Long Beach, Pulau Singa Beach and Ketapang Beach have fair to good coral flora and fauna. The southern parts, off the rocky areas have better corals in slightly deeper water. *For fishing, select areas on the fringers of corals or artifical reefs. Fishing can also be done from the jetty at high tide. -Lighting fires on the beach. Express bus services operate daily from Kuala Lumpur to Alor Setar. For further enquires and reservation kindly contact Puduraya, Kuala Lumpur. Kedah is well-linked by road from Kuala Lumpur and really great way to see Kedah is to take a leisure drive and explore the countryside for yourself. It is a leisurely-drived with the opening of new North South highway. 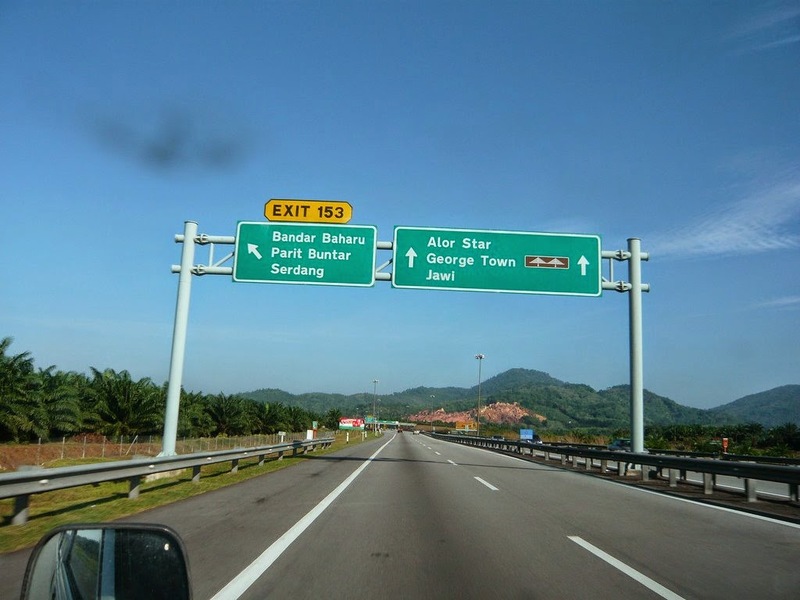 It is about 5 hours driving from Kuala Lumpur to Alor Setar. Langkawi has natural beauty of its pristine, white and sandy beaches are attractions in themselves. Pantai Cenang (Cenang Beach), Pantai Tengah (Tengah Beach), Pantai Kok (Kok Beach), Rebak Marina and Tanjung Rhu are just some of the fabulous unspoiled beaches that spread along the island’s coastline. Its Langkawi’s liveliest beach, with rows of international class hotels and as well as budget chalets. 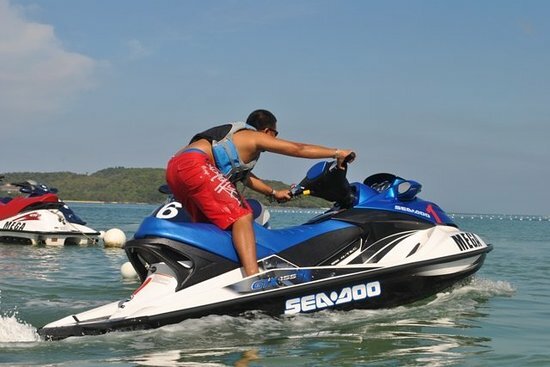 Swimming, jetskiing, wind surfuring, sailing and boating are the activities that can be persued here. Situated amidst lush tropical greenery at Pantai Kok, the Summer Palace Langkawi is one of the island’s latest attractions. In 1999, 20th Century Fox commissioned the construction of this magnificent and expensive movie set for the making of the film ‘Anna and the King’. Built almost entirely of local timbers by Malaysian and foreign artisans, the Summer Palace resembles a traditional Thai Palace. The palace encompasses an area of 675 square meters and stands 16.6 meters high. A part from the original movie set, a restaurant, souvenir shops and pavilion have been added. Open: 9am-10pm (daily). Admission:RM3.5 (adult), RM2 (child). Its kedah’s favourite beach on the mainland. It is situated in the Kuala Muda district, which is 30 km from Sungai Petani, 60 km south of Alor Setar or 40 km from Butterworth. 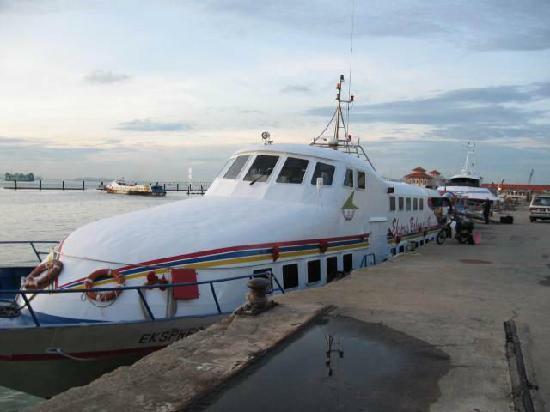 Boats can be hired to visit the off-shore islands of Pulau Bidan (Bidan Island), Pulau Telur (Telur Island) and Pualau Songsang (Songsang Island). This beach is shaded by tall swaying palms, under which one may spend leisurely hours – picnicking or just lazing the hours awau, water skiing and sailing are also popular along this stretch of coastal water.